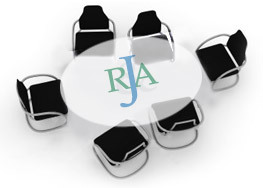 Established in the year 2000 by a group of concerned citizens and community leaders, the Abbotsford Restorative Justice and Advocacy Association (ARJAA) was incorporated as a non-profit society in 2001, and now serves as a Community Accountability Program under the B.C. Ministry of Justice. Based on the principles of restorative justice, Abbotsford Restorative Justice holds offenders accountable to their victims and the community and assists them to make appropriate amends and repair the harm done. As an alternative to the criminal justice system, restorative justice provides support to both victims and offenders, allowing an incident to be resolved directly between the affected parties without going to court. ARJAA also works with Abbotsford School District 34, delivering training in conflict resolution for staff, students and their families, and helping schools implement Restorative Action—a restorative justice program specially designed to address bullying and other forms of conflict in schools. Want to become a Society Member? Step 1) Click here to download our Society Membership Application Form. Step 2) Return your completed Society Membership form to the ARJAA office with your $15 fee. Restorative Action in schools helps to build empathy in students and reduce conflict and bullying. -Young Offender from a police referred file.